His research focuses on the use of “big” and open datasets for the study of social science. He has published in a range of journals on a variety of topics including the use of cycle hire schemes, the spatial analysis of surnames and new ways to visualise population data. James is the recipient of a number of major awards from the Royal Geographical Society, The North American Cartographic Information Society and British Cartographic Society. He is President of the Society of Cartographers. Aside from his academic outputs, a wide range of his maps and visualisations have been featured in the popular press. Read more at spatial.ly or follow @spatialanalysis on Twitter. 2. Awarded the Royal Geographical Society’s Cuthbert Peek Award (2017) “for advancing geographical knowledge through the use of mappable Big Data”. 3. The British Cartographic Society Award (2017): One of the most prestigious awards for recognising cartographic excellence. Entrants are drawn from leading publishers, world mapping agencies and academics. The award recognised the pioneering mapping and visualisation contained in the book entitled Where the Animals Go. 5. Winner London Book Fair Innovation in Travel Publishing Prize. (2017): A major prize recognising “the world’s best travel writing”. 6. The British Cartographic Society Award. (2015): One of the most prestigious awards for recognising cartographic excellence. Entrants are drawn from leading publishers, world mapping agencies and academics. The award recognised the pioneering mapping and visualisation contained in the book entitled London: The Information Capital. It is the first publication to secure multiple honours from the British Cartographic Society. Awarded as part of Phase 1 and Phase 2 of the ESRC “Big Data Network” (http://www.esrc.ac.uk/research/our-research/big-data-network/), these mark significant strategic investments around which many other initiatives are based. 1. ESRC Consumer Data Research Centre. £6,117,620 (February 2014 to Feburary 2019). Co-I, 30% FTE, 5 years (with PI P Longley and Co-Is A Singleton, J Cheshire, J Reynolds, T Cheng, S Mikhaylov). As Deputy Director of the centre, I have significant line management responsibilities for 3 postdoctoral researchers, in addition to oversight of key aspects of the secure data infrastructure on which the project depends. 2. ESRC Administrative Data Research Centre. £11,550,200. (October 2013 – September 2018) Co-I, 5% FTE, 5 years (project leads are P Smith, D Martin and R Gilbert). This is a major investment led by the University of Southampton with collaborators at UCL, Office for National Statistics and the Institute for Fiscal Studies. 1. Development frontiers in crime, livelihoods and urban poverty in Nigeria (FCLP). £261,819 (January 2018-December 2019). 20% FTE 1 year. ESRC/ DfID Development Frontiers Award. Response to a call to “fund innovative, strategic and catalytic research with the potential to radically impact on sustainable development concepts or practices, or lead to new thinking and action on poverty reduction”. 3. Adaptive Networks for Complex Transport Systems. £15,000 (January 2012 - March 2012). EPSRC Additional Sponsorship. (Co-I F Medda). 1. The analysis of names from the 2011 Census of Population. £136,504 (March 2015 - February 2016). 5% FTE 11 months. ESRC Secondary Data Initiative. (PI P Longley and Co-Is J Cheshire, A Singleton). 2. Cities for Human Locomotion. £6000 (July 2013 - September 2013). UCL Grand Challenges. (PI S Marshall with Co-Is N Tyler, J Cheshire, C Holloway). 1. Longley, P., Cheshire J. & Singleton, A. (Eds.) (2018). Consumer Data Research. UCL Press. 2. Lloyd, A., Cheshire, J. & Squires, M. (2018). The Provenance of Customer Loyalty Card Data. In Longley, P., Cheshire J. & Singleton, A. (2018). Consumer Data Research. UCL Press. 3. O’Brien, O. & Cheshire (2018). Geovisualisation of Consumer Data. In Longley, P., Cheshire J. & Singleton, A. (2018). Consumer Data Research. UCL Press. 4. Longley, P. & Cheshire, J. (2018). Geographical Information Systems. In Kent, A. & Vujakovic, P. The Routledge Handbook of Mapping and Cartography. Routledge. 5. O’Brien, O. & Cheshire J. (2017). Mapping Travel to Work Flows. In Stillwell, J. (Eds. ), The Routledge Handbook of Census Resources, Methods and Applications. Routledge. 6. Umar, F. Johnson, S. & Cheshire, J. (2018). Testing theories of Social Disorganization in Nigeria. In Weisburd, D. & Johnson, S. (eds) The Oxford Handbook of Environmental Criminology. Oxford University Press. 7. Cheshire, J. & Uberti, O. 2016. Where the Animals Go. Particular Books (UK) & WW Norton (USA). Translations: Die Wege der Tiere (Carl Hanser, Germany), Atlas De La Vie Sauvage (Les Arénes, France). 8. Cheshire, J. A., & Lovelace, R. (2015). Spatial Data Visualisation with R. In C. Brunsdon, & S. Singleton (Eds. ), Geocomputation: A Practical Primer. SAGE. 9. Cheshire, J. & Uberti, O. (2014). London: The Information Capital. Particular Books. 10. Ivan, I., Longley, P., Horãk, J., Fritsch, D., Cheshire, J. & Inspektor, T. (Eds.). (2013). Geoinformatics for City Transformations. Institute of Geomatics, Ostrava. 11. Cheshire, J., Batty, M., Reades, J., Longley, P., Manley, E., Milton, R. (2013). CyberGIS for Analysing Urban Data. In S. Wang., M. Goodchild. CyberGIS: Fostering a New Wave of Geospatial Discovery and Innovation. SAGE. 7. Cheshire, J. A. (2014). Analysing Surnames as Geographic Data. Journal of Anthropological Science, 92, 99-117. 14. Cheshire, J., & Batty, M. (2012). Visualisation Tools for Understanding Big Data. Environment and Planning B: Planning and Design, 39(3), 413-415. 17. Batty, M., & Cheshire, J. (2011). Cities as flows, cities of flows. Environment and Planning B: Planning and Design, 38(2), 195-196. James’ personal blog attracts 100,000 visits a year with many utilising his tutorials on the use of the R statistics package for mapping and visualisation. 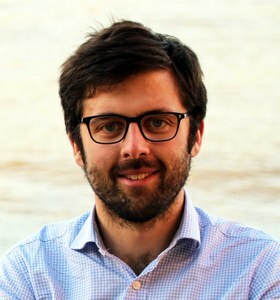 In addition, a key deliverable from his ESRC Future Research Leaders grant was the creation of the datashine.org.uk website with the project’s RA Oliver O’Brien. This is regarded as an innovator in the visualisation and provision of 2011 Census data and was cited as exemplar in the Royal Statistical Society’s Data Manifesto. It is used throughout the public, private and charity sectors for data insights as well as by schools and universities as an educational resource. James’ visual outputs have been widely featured in the mainstream print and online media and he is regularly asked to deliver talks, training and analysis in the commercial sector. 1. GEOG2025: Geocomputation. Convenor (Undergraduate). 2. Q-Step Data visualisation short course. Convenor (Undergraduate). 3. GEOG1003: Data Acquisition and Interpretation. Convenor (Undergraduate). 4. POLS6024: Introduction to Quantitative Research Methods. Co- Convenor (Undergraduate). 5. POLS6025: Introduction to Data Analysis. Co- Convenor (Undergraduate). 1. Alistair Leak. Funded by Defence Science and Technology Laboratory. Secondary Supervisor (2013- 2017). Now Postdoctoral Researcher at UCL. 2. Faisal Umar. Funded by Nigerian Government. Primary Supervisor (2012- 2016). Now lecturer at Abu Zaria University, Nigeria. 3. Christopher Gale. Funded by Economic and Social Research Council and Office for National Statistics. Secondary Supervisor (2010-2014). Now a postgraduate researcher at the University of Southampton. 4. Hrishi Ballal. Funded by the European Research Council Mechanicity Project. Secondary Supervisor (2013-2015). Now running a successful company specialising in geodesign software (the topic of his PhD).